Hi everybody! Remember when I told you about a little "secret" in one of my previous posts? Well, now it's the time for the "secret" to be revealed. ;) I was talking about the fabulous sale at Crafty ribbons and about the Crafty ribbons blog hop that starts today. 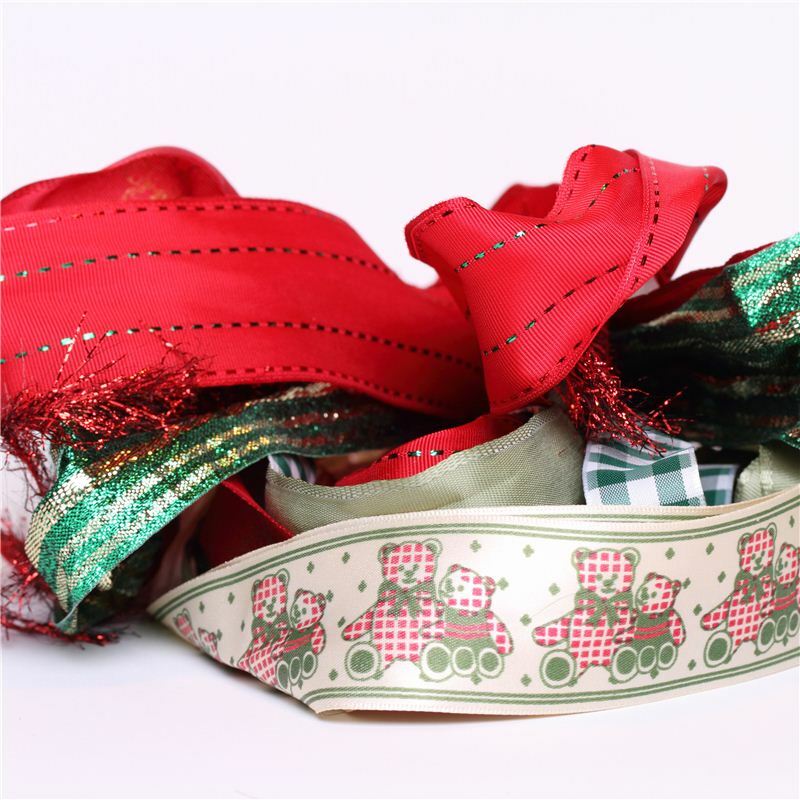 You definitely want to check out the sale, because now you can get many fabulous ribbons for a great price, just £1. Wow, right? And that's not all ... Each of the DT has some fabulous ribbons to give away on their blog for those who will join the blog hop, so be sure to visit them all. There are sooooo many fabulous prizes to be won! But wait, there's more. ;) At each stop there will be a word to collect (in case you haven't figured it out yet, my word is "fabulous" ;)). Once you collected all 12 words, work out the phrase and leave it in the comments back in the Crafty ribbons challenge blog. Each of you who will get the phrase right, will get in the draw for the main blog hop candy. 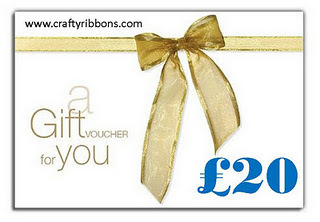 The main blog hop prize is a £20 voucher for the Crafty ribbons shop. You should have arrived here from Carol's blog, but if you are just joining us for the blog hop now, go to the Crafty ribbons challenge blog, where you will find the complete list. But did we stop here? Of course not! ;) We also have a new challenge for you and the theme is "New beginnings" (new baby, new job ...). We will randomly draw the winners of the challenge AND the blog hop. See, I told you there are many prizes to be won ... ;) The challenge winner will receive a ribbon bag. Right, now on to my card. I am always short on baby cards so I made one for this challenge. This one was a bit different for me because I didn't do any stamping. I can hardly believe it myself. lol I used the DP from Provo Craft and I made the baby pram using the circle Spellbinders dies and my border punch. I embossed the yellow paper on the back of the pram with Cottage floral embossing folder from Craft concepts. The pearls are from my stash and the sweet teddy bear ribbon is from Crafty ribbons. All the winners will be announced at the start of our new challenge, that is 19. 1. What a lovely card. I like it! Hi teamie; I really like your card with the stroller that you seem to have put a lot of effort inmaking so beautiful! The ribbon is so cute! I'm joining on your blog hop. What a beautiful card. Gorgeous embossing and such sweet colours. from one Bee to another what a pretty card. What a lovely card...great bloghop! What a cute card, love the ribbon and colors. Great hop. A beautiful card and enjoying the hop. I'm always surprised when I don't use a stamp too so know what you mean! Great pram though - I never have enough baby cards because I don't have a stamp for them so I really like your idea as I can do something similar with my dies and punches. Thanks for the idea. 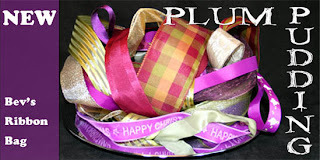 I am enjoying the blog hop - thank you for the opportunity to win some beautiful ribbons. Fab colours for such a cute baby card! I'm really enjoying the blog hop seeing what everyone has made, they are all so different! Love your idea for a new baby card. the colours are great and love the ribbon. Loving the blog hop too. Sweet baby card, Cebelica. I love your cute little baby buggy. Fabulous Blog Hop and candy too. Great blog hop and lovely card, so very cute. Loving this fun hop and seeing all your cards. I love the colours you have chosen. Such a cute baby card :) I never have any to hand, maybe I should make some to have on standby! hi. found my way here through the blog hop. what a fabulous blog. now following so chat again soon.